Respecting the special rights owned by the Spiritual Communities, such as the right to autonomy and self-determination by virtue of which they have free access to political, economic, cultural and environmental development. Article 1: Every human being has the right to promote human rights and fundamental freedoms, especially the supreme right to inter-spiritual and inter-religious harmony. Article 2: Every human being has the right to world peace. Article 3: Every human being has the spiritual right to appropriate understanding, appropriate attitude, appropriate discourse, appropriate action, appropriate lifestyle, appropriate effort, appropriate concentration, appropriate attention, appropriate knowledge, and appropriate liberation. Article 4: Every human being has the right to freedom of thought, conscience, religion and expression, a right that is interrelated with the duty to never contribute to discrimination, violence, war and injustice. Article 5: Every human being has the right to freedom, equality and fraternity, especially in the context of religions and spiritual communities. Article 6: Every human being has the right to religious or spiritual diversity. Therefore both majority and minority traditions and experiences must be respected, always taking care of the highest ethical values. Article 7: Every human being has the right to be part of minority religious groups that are separated from society as long as they do not violate human rights by promoting hatred and alienation. Article 8: Every human being has the right that the State where he/she lives does not discriminate by making restrictions or even preferences in favor of a certain religion. Article 9: Every human being has the right that state justice judges the religious or spiritual discrimination as a human rights violation and an obstacle to friendly relations at international level. Article 10: Every human being has the right to justice and non-impunity, especially in the face of human rights violations. Article 11: Every human being has the right that States fight against intolerance and religious or spiritual discrimination as a way to contribute to a free life in the political, economic, cultural and environmental field. Article 12: Every human being has the right to eliminate racism and xenophobia, promoting harmony and tolerance between all societies. Article 13: Every human being has the right not to discriminate against women and to include them in all levels and functions of society, especially in religious and spiritual movements. Article 14: Every human being has the right to the elimination of threats to peace, especially within religions and spiritual communities. Article 15: Every human being has the right that religions and spiritual communities confront immorality and purify the perversions that threaten or misinterpret their message of love, peace and harmony. Article 16: Every human being has the right to experience religion and Spirituality as messages of love to the neighbor, and not as messages of hatred. Article 17: Every human being has the right not to receive acts of hatred or physical and psychological violence because of his religion or Spirituality. Article 18: Every human being has the right that no religion or spiritual community is associated with terrorism, since it is discriminatory, defamatory and a clear violation of human rights. Article 19: Every human being has the right to make it clear that terrorism promotes a false and illegal use of religion, which is why no civilization, culture, religion or spiritual community deserves to be discriminated against and stereotyped when associated with extremism or terrorism. Article 20: Every human being has the right to fight terrorism not through violence but through the evanescence of its causes. Article 21: Every human being has the right that expressions of hatred, religious intolerance, racism, xenophobia or fascism are prohibited and judged, since such expressions are incompatible with international duties and responsibilities involving democracy and the right to freedom of opinion and expression. Article 22: Every human being has the right that the media promote dialogue between religions, cultures and civilizations, instead of transmitting negative and defamatory prejudices and stereotypes that are a sign of intolerance and discrimination, which is a serious violation of human rights. Article 23: Every human being has the right that religious intolerance is combated through a strategy of harmonization or reconciliation at national and international level, by carrying out massive instruments of education and awareness. Article 24: Every human being has the right that tolerance never be associated or confused with concession, condescension or complacency, especially in the face of violations of human rights and fundamental freedoms, since tolerance is the recognition of the intrinsic dignity of others, of cultural pluralism and democracy. Article 25: Every human being has the right that tolerance is associated with advanced education, respect for what is different, juridical impartiality, non-discrimination, multiculturalism and non social exclusion. Article 26: Every human being has the right to have academic activities that promote tolerance, non-violence and interreligious and interspiritual dialogue, not only through the stimulation of educational activities but also through the dissemination of books that are fundamental of those millenary traditions. Article 27: Every human being has the right to contribute with labor or financially to religious or spiritual movements, especially by supporting educational and humanitarian activities, provided that such funds are not used for illegal activities. Article 28: Every human being has the right to religious or spiritual education as a fundamental pillar of the ethical personality and tolerant society, by eradicating prejudices and stereotypes caused by ignorance. Article 29: Every human being has the right to create spiritual movements or religions. Article 30: Every human being has the right to religious or spiritual family education provided that it is chosen and not imposed by force. Article 31: Every human being has the right to learn from religious or spiritual leaders. Article 32: Every human being has the right to follow ethical precepts from religious or spiritual movements as long as they do not violate International Human Rights Law. Article 33: Every human being has the right that religions and spiritual communities follow their ancient traditions without violating international laws. Article 34: Every human being has the right to communicate and maintain friendly relations with members of other religious or spiritual communities. Article 35: Every human being has the right to free circulation of information, especially if it is competence of religious and spiritual movements. Article 36: Every human being has the right that the spiritual practices are not confused with religious cults, thus avoiding stereotypes and cultural prejudices. Article 37: Every human being has the right to mystical Awakening. Article 38: Every human being has the right to learning or discovering the fundamental meanings or common values about existence. Article 39: Every human being has the right to contribution of knowledge at national or international spheres, especially if they are crucial for world peace, such as academic, artistic and spiritual knowledges. Article 40: Every human being has the right that spiritual masters are respected as valuable leaders of humanity, by teaching ways to combat intolerance, discrimination and violence. Article 41: Every human being has the right that the political leaders of the world have inclinations toward good and compassion instead of having tendencies toward evil and selfishness. Article 42: Every human being has the right to receive teachings on the culture of peace and justice at all levels of education. Article 43: Every human being has the right that the culture of war is transformed into a culture of peace, changing the culture of impunity for a culture of justice, which is a Path consisting of values, attitudes and behaviors promoting non-violence and solidarity, always solving conflicts through dialogue and the rule of Law. Article 44: Every human being has the right to a civilization based on tolerance, democracy, human rights, multiculturalism, reconciliation and education for peace. Article 45: Every human being has the right to respect for cultural pluralism and the diversity of spiritual contributions of different civilizations, which constitute the collective ethical heritage as a source of inspiration and evolution for all humankind. Article 46: Every human being has the right to a constructive dialogue, understanding and alliance between different cultures and civilizations, recognizing also the preponderant participation of the main religions and tribal peoples, since they are vestiges of ancient civilizations. Article 47: Every human being has the right to free and respectful exchange of ideas, especially in the context of dialogue between universities, religions, cultures and civilizations, prioritizing the aspects they have in common. Article 48: Every human being has the right to the promotion, facilitation and maintenance of interreligious and intercultural dialogue. Article 49: Every human being has the right that religions and spiritual communities contribute to the maintenance of tolerance and to the search for Truth. Article 50: Every human being has the right to a civilization based on tolerance, recognition and appreciation of others, living and listening the neighbor as the basic ground of a society based on the common values of peace, justice, knowledge and health. Article 51: Every human being has the right to cultural globalization, which means the inter-existence and interdependence among different peoples, religions, cultures and spiritual communities, since globalization is not only a political, economical, technological and environmental process. Article 52: Every human being has the right that integration is not considered as an enemy of peace. Article 53: Every human being has the right that religions and spiritual communities are a source of inspiration to develop understanding, tolerance and mutual respect for the diversity of beliefs, also giving love to the rest of inhabitants of Mother Earth. Article 54: Every human being has the right to inclusion, equity, justice and tolerance in the sphere of interactions with other peoples, civilizations, religions and spiritual communities. 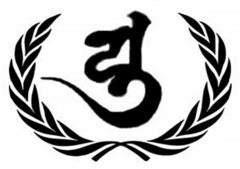 Article 55: Every human being has the right to the appreciation and promotion of the supreme knowledge and the compassionate wisdoms of all civilizations. Article 56: Every human being has the right to knowledge and understanding of the common ethical norms and universal spiritual values that constitute the perennial heritage of humanity. Article 57: Every human being has the right to the conservation and development of his cultural heritage, especially in the sphere of his religions and spiritual communities. Article 58: Every human being has the right that it is respected the International Law norms that protect sacred places for religions and spiritual communities, such as sanctuaries and symbols, by forbidding the profanation and destruction of this spiritual heritage. Article 59: Every human being has the right to the protection of the cultural identity of all peoples and civilizations, especially their religions and spiritual communities. Article 60: Every human being has the right that initiatives of civil society and of NGOs are encouraged and supported in order to promote dialogue and understanding between religions, cultures and civilizations. Article 61: Every human being has the right to preservation of present and future generations in the face of the threat of destruction, simultaneously understanding the fact that the evolution of consciousness is crucial for the survival of humanity. Article 62: Every human being has the right that the future generations are educated in a special way which avoids repeating the errors of past generations, by fostering tolerance, peace and reconciliation since they are supreme values of life. Article 63: Every human being has the right that it is understood the fact that peaceful co-existence and mutual support are an evolutionary advantage. Article 64: Every human being hast the right that the challenge of climate change and the problem of environmental pollution are regarded as a priority by States, peoples, corporations and religions. Article 65: Every human being has the right that the alliance between human beings and animals is considered as a matter of priority by international community, abandoning the destructive belief of human supremacy over the rest of living beings, because both human rights and environmental rights must be respected. Article 66: Every human being has the right that States and corporations comply with the juridical obligations and international principles established on Human Rights Treaties, respecting the intrinsic dignity of life. Article 67: Every human being has the right to health, well-being and happiness. Article 68: Every human being has the right that those corporations which are world leaders cease their ecocidal and destructive behavior toward environment. Article 69: Every human being has the right to a genuine response on the part of the international community facing the problems that are threatening the survival of humankind and the Mother Earth. Article 70: Every human being has the right to conservation and regeneration of both nature and the planetary body. Article 71: Every human being has the right to sustainable development as an essential element for promoting and strengthening a civilization of peace. Article 72: Every human being has the right to civilization stability, by consolidating cultural institutions such as religion and science on the basis of high ethical values. Article 73: Every human being has the right that interreligious and inter-spiritual harmony are regarded as a way of mutual support and international social cohesiveness. Article 74: Every human being has the right that humanity is considered as a great interrelated and interdependent family. Article 75: Every human being has the right that religions and spiritual communities are considered free and independent from States, being capable of keeping their political, economical, cultural and environmental sovereignty. Article 76: Every human being has the right that religions and spiritual communities have their own territories. Article 77: Every human being has the right that States incorporate in-depth studies on the history of civilizations, especially of those religions and spiritual communities which are remnants of ancient disappeared civilizations which have de facto cultural sovereignty. Article 78: Every human being has the right to history, memory and Truth. Article 79: Every human being has the right to non-distortion of past events and has also the right that religious teachings are not politically used. Article 80: Every Human being has the right to the elimination of ignorance and deceit. Article 81: Every human being has the right to the protection of the legacy of spiritual knowledges, which are capable of guiding humanity toward the Truth. Article 82: Every human being has the right that meditation and contemplation are not only recognized as spiritual methods to seek the Truth, but also as necessary methods for resolving conflicts and establishing peace. Article 83: Every human being has the right that, in order to establish world peace, the influence and ethical authority of spiritual masters play a leading role in a process of dialogue among civilizations, States, peoples, cultures and religions. Article 84: Every human being has the right that the spiritual masters offer their experience and mediation to solve communal, social and interstate conflicts, especially to eradicate war, poverty, ignorance and pollution through righteous and appropriate means. Article 85: Every human being has the right that the sovereignty and integrity of States are defended through the rule of international Law, assuming the commitment to resort to dialogue and the peaceful solution of all conflicts. Article 86: Every human being has the right that inter-religious dialogue and inter-spiritual harmony are recognized as a sacred priority by States on their path toward world peace. Article 87: Every human being has the right that peace is not considered as the mere absence of war or conflict, but rather it is understood as a dialectical and dynamic process of plenitude and development. Article 88: Every human being has the right that peace and harmony are considered as an attitude and a lifestyle based on values that are defended by spiritual traditions, such as respect for the dignity of life and the practice of non-violence. Article 89: Every human being has the right to understanding, solidarity, cooperation, pluralism and tolerance between all civilizations, peoples, cultures and religions of the world. Article 90: Every human being has the right to participate in a system of direct democracy at both national and international levels. Article 91: Every human being has the right to participate and strengthen the institutions of the legal system, being able to be sure that those powerful and rich are accountable for their acts. Article 92: Every human being has the right that there is no impunity in the face of organized crime, corruption, trafficking and terrorism, which impede the democratic and peaceful development of the peoples. Article 93: Every human being has the right to the defense of the rights of the unprotected, such as children, poor people, women, elderly people, immigrants, refugees, tribal peoples, spiritual communities, animals and the environment. Article 94: Every human being has the right that the refugees are treated with tolerance and solidarity, especially when they are members of religions or spiritual communities. Article 95: Every human being has the right to free himself from colonialism, oppression and tyranny. Article 96: Every human being has the right to global citizenship, developing the context of a democratic and tolerant planet. Article 97: Every human being has the right that social activists, intellectuals, artists, religious leaders and spiritual masters are taken into consideration when developing measures that involve the creation and maintenance of a culture and civilization of world peace, being able to participate both in education on crises prevention and in promoting dialogue and peaceful resolution of conflicts. Article 98: Every human being has the right that religions and spiritual communities participate in the processes of rehabilitation, restoration and reconciliation of conflicts. Article 99: Every human being has the right to listening, to solidarity and receptiveness of the others, in order to be calm, especially at universities, temples and meditation centers, which are true sanctuaries of world peace. Article 100: Every human being has the right that inter-religious and interspiritual harmony is an ethical, political and juridical requirement at international level. Article 101: Every human being has the right that interreligious and interspiritual harmony is associated with critical reasoning, ethical thinking and Mindfulness faced with the suffering of the world. Article 102: Every human being has the right that the interreligious and interespiritual harmony is associated with an unswerving social engagement with the Awakening and Liberation of the oppressed ones. Article 103: Every human being has the right that interreligious and interspiritual harmony is understood as a cultural evolution of humanity, recognizing that the unity and peaceful coexistence are the fundamental hope of the great human family. Article 104: Every human being has the right that interreligious and interspiritual harmony is understood as an essential element for the survival and welfare of the entire humanity, being a responsibility of each State, people and individual in order to coexist peacefully and save the world from the evils of greed, hatred and deceit.